Margy and I watched the New Year sunset at Kettle Cove. It is one of the few beaches we know of on the east coast of Maine, where you can watch the sun set over the water, in winter. (This is because the beach at that point faces southward, and the sun is setting further to the south than in summer–a perfect alignment.) In 2019, I intend to visit the ocean more often. It is so close to us, and yet it is so easy to forget to drive 30 minutes to experience this beauty. Despite all the hard things that are plaguing our beloved world, may we remember to seek out beauty and joy each day. May we remember color and light and shade and darkness and shine and curve and flow and rhythm. One evening, during my first year in college, my best friend Lori and I were sitting in the quiet candlelit chapel of our campus. A few other people were also there, scattered about the pews. I remember feeling we each seemed so isolated in our private meditations. I was moved to reach out and take the hand of my friend. Little did I realize, at that very moment, she had been wrestling with her own inner spiritual struggles. Feeling a certain despair, she had just prayed, “God if you are real, I need a sign. It doesn’t have to be a miracle; I just need you to touch me in some way.” Then, I innocently took her hand, and it was the touch of God she experienced. I shared this story with my colleagues last week. From Wednesday through Friday, I was on retreat with other Unitarian Universalist ministers at Biddeford Pool, by the sea. They had invited me, because of my upcoming retirement, to share my “Odyssey,” my story of ministry. So on Thursday evening, I talked about the long path and the many transformations that have been a part of that ministry journey, starting with this story of my being used unknowingly by the Spirit. Years ago, even as a child, I had opened my life to that Spirit, that Mystery, that flowing River of Life. Ministry has meant, for me, at root, that opening to be of use. At different times in my life, that has included many different types of work. Most lately, as a minister in a congregation, I have been preaching, offering pastoral care, teaching, writing, going to many meetings. But ministry is not always about our intentions or our plans or our activities. I shared another story that happened only a few years ago. At that time, I was planning to join my congregation at our annual retreat at Ferry Beach. We were happy to be including a visiting UU minister from Burundi, and I was going to drive him to the retreat. But then I got sick with a bad cold or flu–can’t remember which. I called a member of the congregation to see if she could give him a ride instead. She did, and later she told me that it had changed her life. She was transformed by hearing his story, and she eventually went to visit Burundi with other UUs. I was struck by how even our limitations–even getting sick–even being missing–can be an occasion of unknowingly triggering a blessing for someone’s life. If we are in the flow of Spirit, the flow of the River, even our flaws can be of use. This gives me great comfort as I deal with health issues that drain my energy and interrupt my intentions and activities, and are the impetus for my decision to retire this year. I remind myself to trust in that same Spirit who has been undergirding my life and my ministry for all these many years. Trust in the flow of the River. Margy and I went to Crescent Beach late yesterday afternoon. As we were leaving, a harbor seal pup came onto the shore. What is it about our species that we so love these encounters with other species, with wild species? Is it the kinship we feel when we look into their eyes gazing back at us? Or the otherness we feel, the differences magical and intriguing? It was our first time this season going into the open water. So cold! But after some time in the water, it was delicious. The ocean itself would have been enough yesterday–the way it transformed my body chemistry into a greater sense of ease and well-being. And then, sitting in the sun warming up on the sand. Since I have had thyroid disease, it has been harder for me to warm up after swimming, but this time I wore a light hoody, and the air was still warm at 6 p.m. so I was fine. 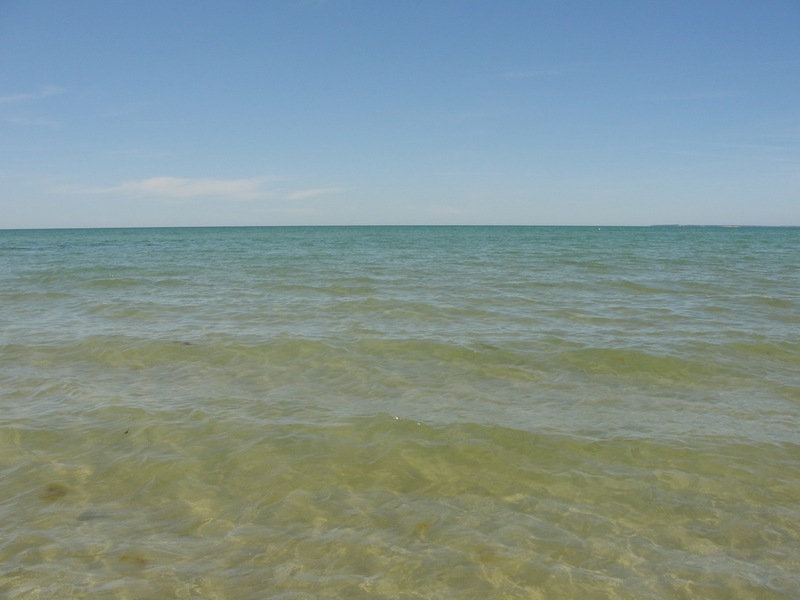 Later, I changed back into dry clothes and sat and read, while Margy went in for another swim. I had carried some of our stuff to the car about 7:30 p.m. when the seal pup first arrived. As I met Margy heading into the changing room, she told me about it, so I went back to down to the beach. The little group of twenty or so people who were still on the beach were gathered near the pup at a respectful distance. Someone had called the proper wildlife people to let them know. The pup just lay there looking at everyone, calmly, perhaps resting, perhaps wondering what to do. After several minutes, they turned around and started heading back toward the water, moving slowly and steadily over the sand. As the pup reached the waves, they turned as if to say goodbye, (or maybe, “I don’t think this was where I meant to land”) and then slid right in and swam away down the beach. El Nino weather has meant no snow in Maine and record warm temperatures. Yesterday, Margy and I went to the beach. Our search for greener housing has brought me an intense focus on a worthy project and a burning desire to bring it to completion. But one of the side effects of this project has been that I easily lose track of my attention to this present moment. It is as if I am hovering between the present and the future, and my feet can’t find the ground. I took a walk this morning in my neighborhood. A short way down the road, I found a frog that had been killed by a passing car. As I moved its body into the grass, I was reminded that we never know when we will meet our own end. It won’t wait for us to finish all our projects. This moment is all that we have for sure. How can I live in this moment, even when I am involved in working on a goal? One of the best ways I know to return to the present moment is to enter through the door of gratitude. I am grateful for the full moon that was golden in the trees as it was rising last night. I am grateful for cuddling with my love after watching a movie together on the couch. I am grateful for diving into the ocean yesterday after time setting up rain barrels at a Permablitz in South Portland. I am grateful for people who care about the earth and each other enough to gather together to help new friends fulfill a permaculture design for their garden. I am grateful for local sausage fried with green kale at breakfast. I am grateful for the sun shining through the clouds during my walk. I am grateful for the turkey who crossed the road in front of me. 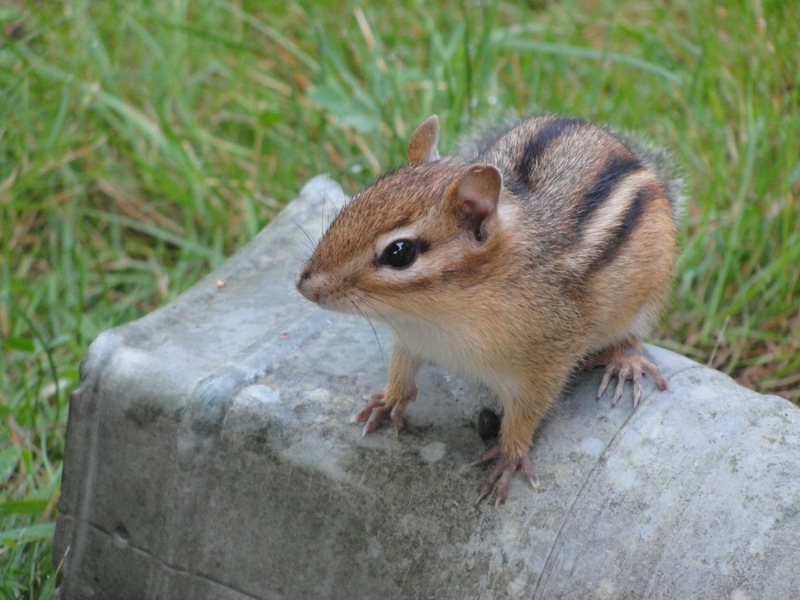 I am grateful for the chirping of the chipmunk who greeted me on my return, and then hid in the rain downspout extension. I am grateful for one more day to be alive in this beautiful earth. My journey into emptiness brought me four kinds of emptying: first, to clear away some outside clutter of unfinished projects; second, to let go of the inner residue of unresolved emotions; third, to let go of habits of character, tools of maneuvering that kept me from merely being with myself and others; and fourth, to let go of the roles I occupy. Perhaps by numbering these steps, I give a wrong impression that the journey was linear or planned out. As I looked back over my journal writings, I found a winding and twisting path, with bits and pieces of each of these interspersed with the others. I started out on the journey with a hunger. I did not plan the four kinds of letting go. Rather, I encountered them in the pathway, as I meandered down the road, led by my hunger to find the heart of my own soul. If you took a journey into your emptiness, it might be completely different. But perhaps, by my sharing, you might recognize a few turns along the path. The journey into emptiness led me into a sense of wholeness, a sense of being with and in my complete self. A sense of openness and relationship to larger being. I didn’t stay there. I got busy with work again. But I learned that I need that periodic emptying in order to be happy in my life, and to be happy in my work. That emptiness is the source of creativity and insight and serenity. That emptiness is the place from which to experience Mystery.